Obituary – Taylor Jr., Frank Carol « Perry High School Alumni Association, Inc.
Frank Carol Taylor, Jr. was born in Perry, Oklahoma, lived in Crestline, CA for 11 years, and died in a San Bernardino. CA hospital on Wednesday at the age of 45. He was a bus driver for the Rim of the World School District. 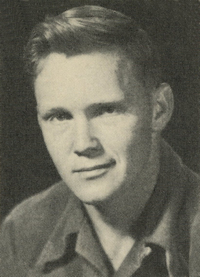 He was survived by his wife, Mary; four daughters, Cynthia Simmons, Pamela Patterson, and Sharon and Karen Taylor, all of Crestline; a son, Frank of Crestline; his parents, Mr. & Mrs. Frank C. Taylor of Long Beach; a sister, Carol Morrison of Santa Maria; a brother, Jerry Taylor of Palm Desert; and three grandchildren, Eryk and Curtis Simmons and Sonny Patterson. Mark B. Shaw Memorial Chapel is handling the arrangements. In lieu of flowers, donations may be made to the Rim of the World Youth Sports League.